Callaway Golf South Pacific has partnered with the On Course golf group to launch the charitable ProMo campaign in an effort to raise funds for Movember, an Australian organisation that focuses on the prevention of prostate cancer and supports male mental health through Beyond Blue. “We’re quite pleased to be partnering with our customers from the On Course group on this worthy project to raise funds for Movember,” said Leighton Richards, Managing Director of Callaway Golf South Pacific Asia and India. One aspect of the campaign involves the sale of Movember logoed Callaway golf balls at On Course retail shops throughout Australia. 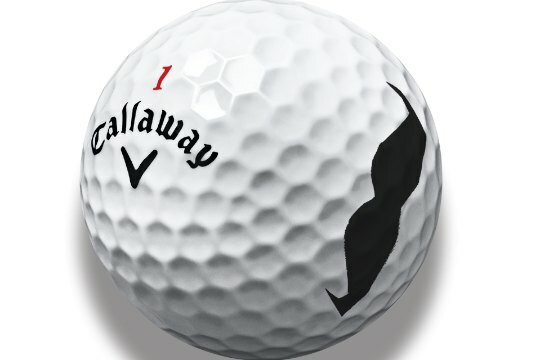 For every dozen logoed HEX Diablo Golf Balls sold at On Course retailers during the month of November, Callaway will donate $2 to Movember. The On Course group is made up of PGA Professionals who operate golf shops at on course locations throughout Australia. Callaway is one of the biggest manufacturers of premium golf equipment in the world, with regional offices in Melbourne. Movember’s iconic moustache logo will be featured on the side of each HX Diablo Golf Ball and more than 75 On Course retailers are expected to participate in the Movember campaign. In addition to proceeds from golf ball sales being contributed to Movember, PGA Professionals and retail staff at On Course golf shops throughout the country will be growing moustaches and accepting donations from golf club members and guests who wish to donate in the name of their local pro. Donations earned by each On Course member will go toward the same large pool of funds raised by the entire ProMo Campaign being led by Callaway and the On Course group. A number of On Course shops will also have Movember donation boxes on their shop counters or in clubhouses. Gold coin donations to the ProMo campaign will also be welcomed at golf courses. In Australia the vast majority of golfers are in the primary Movember target audience, men in the 50+ age bracket. Golfers who wish to support the effort can purchase the logoed Callaway golf balls at an On Course retailer or donate directly on the Movember website under the On Course/Callaway umbrella at http://moteam.co/promo.